JBuzz Jewish Academic News & Cultural Buzz: News blog focusing on Jewish studies educational news and includes all areas of Jewish studies; academia, professors, scholars and Jewish education making news. Features include book news & reviews, op-eds, profiles, news stories, but also reference sources on practicing Judaism and the holidays, and cultural news stories relating to the religion. JBuzz Features May 4, 2014: Who Gets to Define Jewish Studies? Who Gets to Define Jewish Studies? JBuzz Features April 14, 2014: Who wrote the Passover Haggadah? Who wrote the Passover Haggadah? 2. Yom Kippur is a day of forgiveness only for sins committed against God…. 3. 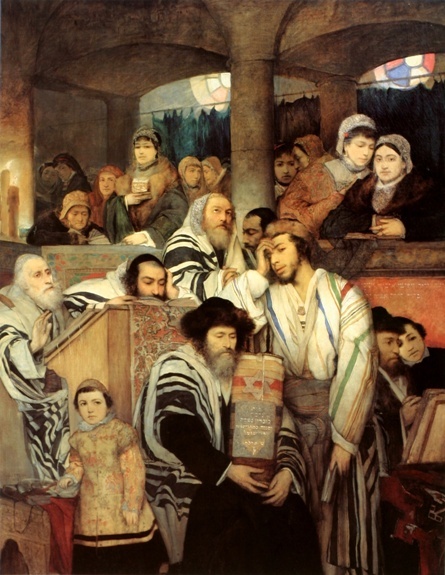 Yom Kippur’s focus on seeking forgiveness highlights humility…. 4. Yom Kippur is a Happy Jewish Holiday…. 5. Yom Kippur is observed on the tenth day of the Jewish month of Tishrei, whose astrological sign is Libra (♎)…. 8. Yom Kippur and the Jubilee highlight liberty and the subordination to God…. 9. The Hebrew word Kippur כיפור (atonement/repentance) is a derivative of the Biblical word Kaporet כפורת…. 10. Yom Kippur calls for repentance – Teshuvah, תשובה in Hebrew…. 11. The Hebrew spelling of ”fast” (צם/צום) – abstinence from food – reflects the substance of Yom Kippur…. 12. The prayer of Veedooi -וידוי (confession/reaffirmation in Hebrew) is recited ten times during Yom Kippur…. 13. A Memorial Candle, commemorating one’s parent(s), is lit during Yom Kippur…. 14. The Scroll of Jonas is read on Yom Kippur…. JBuzz Features July 11, 2013: The Hero of Tisha B’Av? The Hero of Tisha B‘Av? JBuzz News May 26, 2013: Naomi Schaefer Riley: Why do Jews intermarry, and who’d marry a Jew anyway? Why do Jews intermarry, and who’d marry a Jew anyway? In her new book, Naomi Schaefer Riley takes a look at why so many in the American Jewish community are marrying out of the faith. Over the past half century, intermarriage has become increasingly common in the United States among all religions – but among Jews at the highest rate. Why that is the case is one of the questions Naomi Schaefer Riley probes in her new book, “‘Til Faith Do Us Part: How Interfaith Marriage is Transforming America” (Oxford University Press). Indeed, a new report from Brandeis University’s Cohen Center for Modern Jewish Studies — the third in an ongoing longitudinal study comparing young American Jews who participated in the free Israel trip to those who did not — finds that six to 11 years later, the experience continues to affect life choices and outlooks. 22 percent more likely to indicate that they are at least “somewhat confident” in explaining the current situation in Israel.